What happens when you hear the words “construction loan?” Do you feel your chest tightening while visions of endless paperwork come to mind? Construction loans can be an intimidating process when you are looking to purchase a brand new home, but it’s an important process to thoroughly understand before diving in. 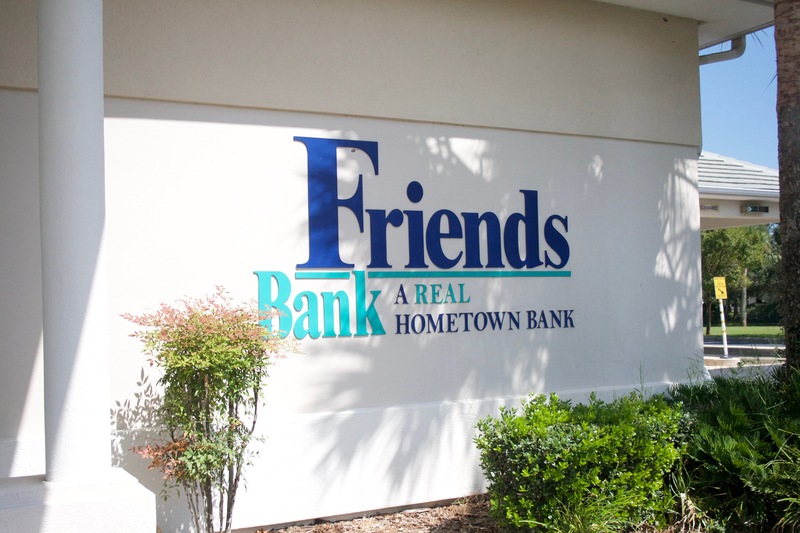 This week we sat down with Pete Klironomos, President and CEO of Friends Bank here in New Smyrna Beach to talk about what you need to know when it comes to construction loans. Simply put, a construction loan start off like a line of credit, said Pete. “You’re just being charged interest throughout the construction phase on what you use on a daily basis, and that’s how the interest is assessed,” he said. Unlike a traditional mortgage loan, new construction loans are dispersed in increments that coincide with the stages of construction. However, before the money is dispersed the lender must verify the job’s progress. For Pete, verifying progress on construction is one of the things he enjoys doing for his clients. “I go and do all of the inspections myself,” said Pete. That means if a builder calls Friday morning at 9 a.m. asking for the lender to come verify the progress, Pete goes out to the construction site at lunchtime and then comes back to the office and gets them the money that same day. “Normally that process takes a week at a bigger bank,” said Pete, which is part of what makes Friends Bank in New Smyrna Beach so unique. “We watch over them, we keep an eye on them and let our them (the customer) know what’s going on,” said Pete. Even though Pete and his team will take care of you during the construction process, Pete always advises clients to spend some time doing research on their builder before committing to a construction loan. “The biggest thing I would say is to do your research on the builder. What kind of references do they have, how they pay their bills- that’s all very important. How do they pay their subs? If they pay their subs well, what kind of work do the subs do? They will do good work and they will always show up,” said Pete. Even if you find the best builder, you should still plan on a few unexpected delays in the constructuion process. Rain delays or storm delays are common, so go in to the construction process knowing that minor delays are almost always inevitable. Once you do get past the construction process and the day comes for the last coat of paint to be applied and the certificate of occupancy to be issued, the loan will typically converted in to a traditional mortgage, according to Bankrate.com, with the borrower ideally only paying for one closing called construction- to-permanent financing. No matter what type of loan you are looking to get, be sure to always do your research on your builder and bank before beginning any process. As always, if you are looking to make New Smyrna Beach your home please contact us and we will help you make your Florida life a reality!